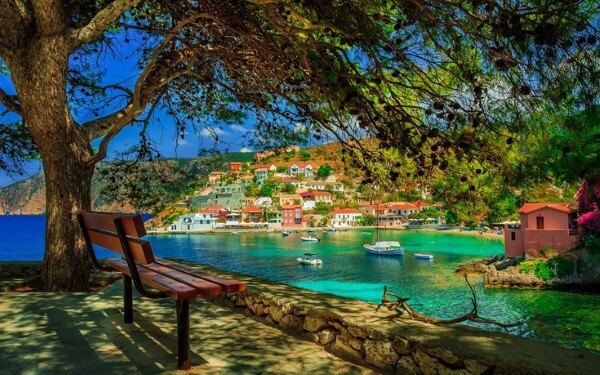 Explore Kefalonia with Kefalonia rent a car, the easy and safe way! 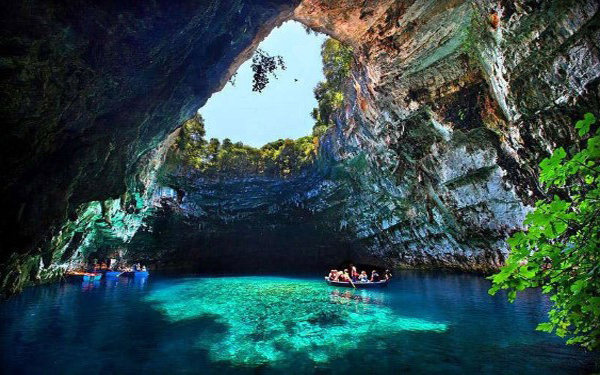 Melissani cave is located close to the town of Sami, about 20km from Argostoli, the capital of Kefalonia. 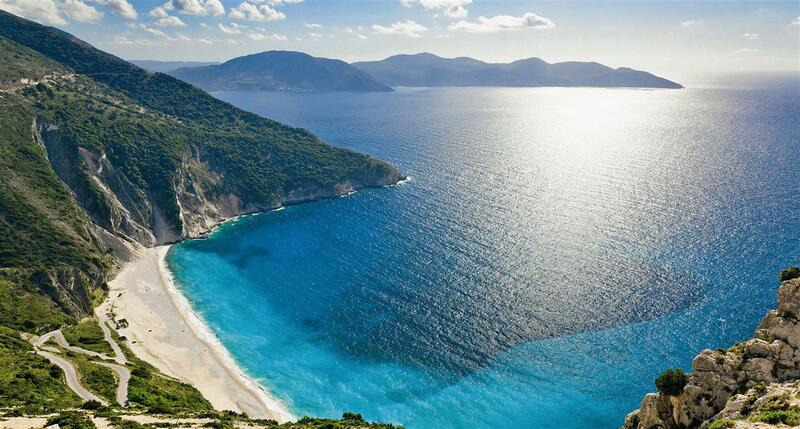 It is without a doupt one of the most significant places for tourist to visit in Kefalonia. Surprisingly there is a lake inside the cave that has trees and forests surrounding it. The sight is simply magical. The cave itself has the shape of a B with 2 chambers separated with an island in the middle. The roof of one of the chambers has caved in centuries ago letting now the sunlight shine into the lake and making it a breath-taking sight. When the sun is right above at noon, the sunlight hitting the turquoise-blue waters create a magical illusion and the whole cave of Melissani suddenly fills with blue light. At noon is the best time to visit the cave and enjoy a relaxing boat-ride with a traditional boat at the lake. The cave of Melissani is 36m high, 40m wide and 3.5m long. 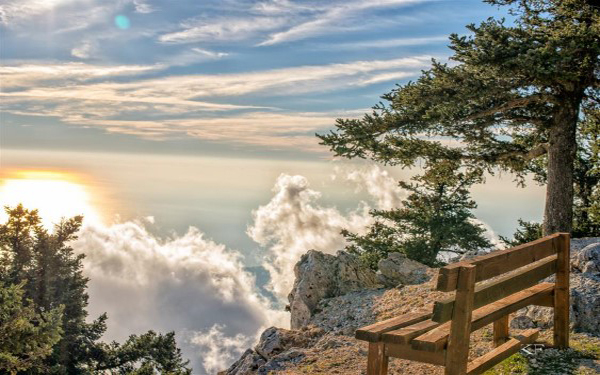 A balcony was built on top of the cave for tourists to get a spectacular view of the inside from the top. 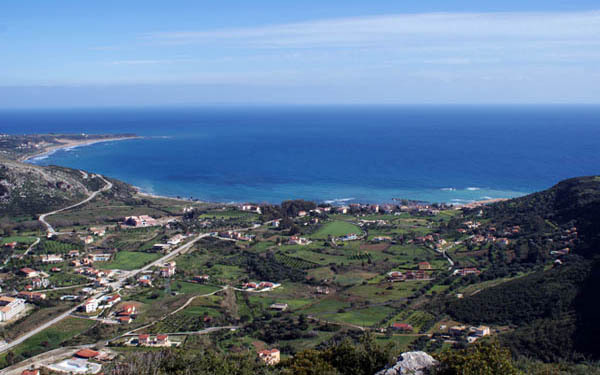 The lake has a depth of 20 to 30m. 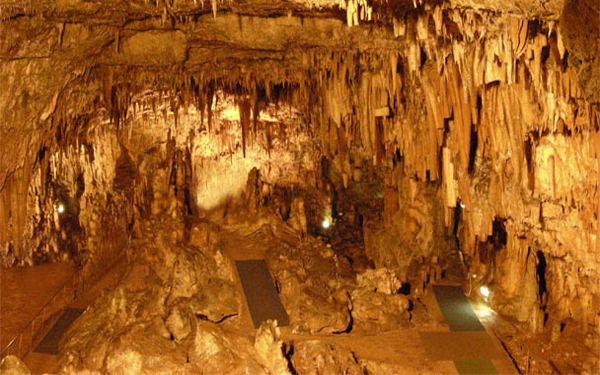 There is also stalactites and stalagmites in the cave that enhance even more its beauty. The cave of Melissani leaves a memorable and lasting impression to everyone who visits it. 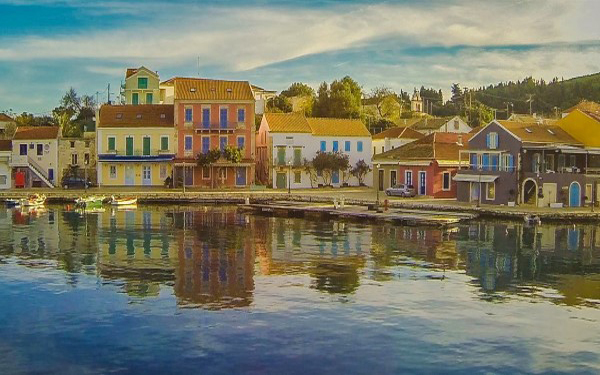 Poros is a picturesque village with 1,000 residents in the south eastern part of the island. 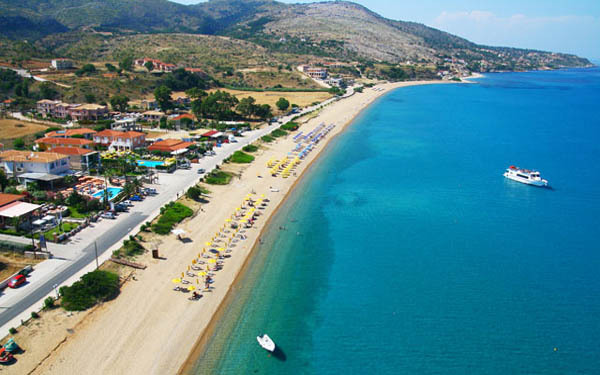 An impressive landscape is what makes Poros different to the rest of the island, entering the village through the gorge created by the rocks, you will find a beautiful village surrounded by endless bays and a beach with turquoise waters stretching to the north of the village. 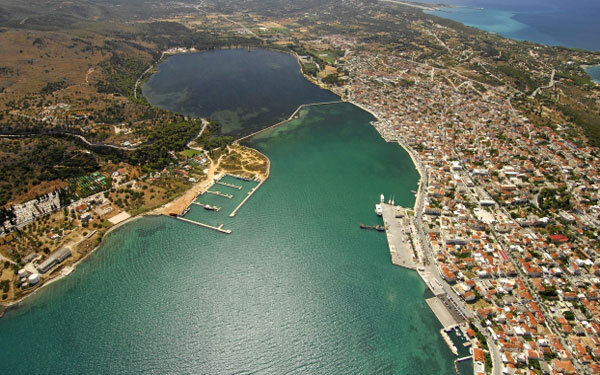 It is an ideal place for swimming or simply relaxing in the various taverners and restaurants around the village. 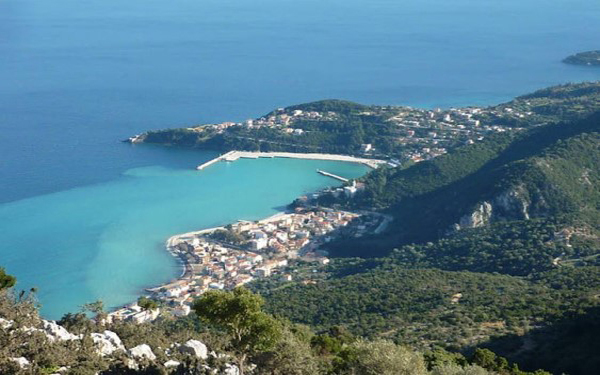 The most important point about this region is that it is one of the main ports of Kefalonia connecting the island to the mainland, namely Kilini and also it has a marina for yachts.